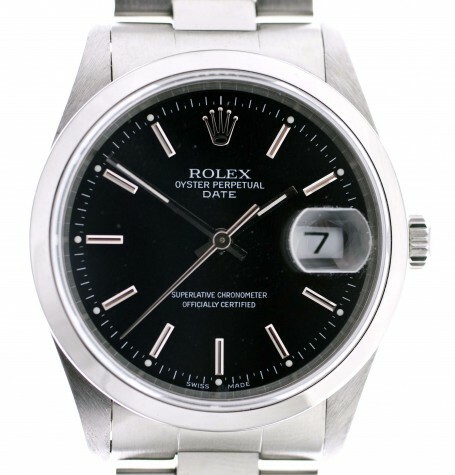 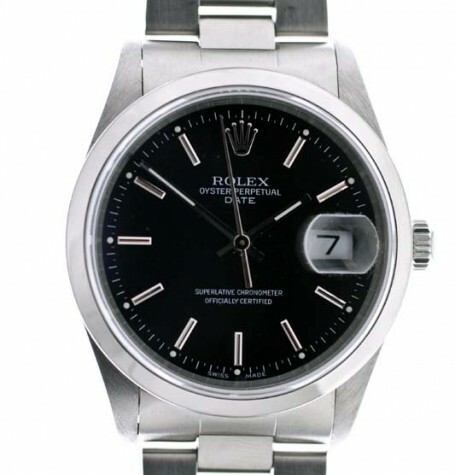 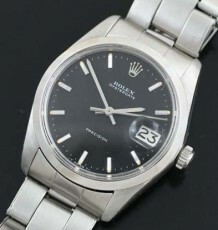 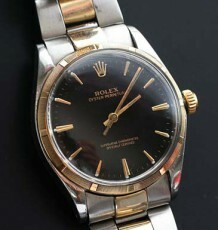 An interesting watch, this Rolex Oyster Perpetual Date is a reference 15200. 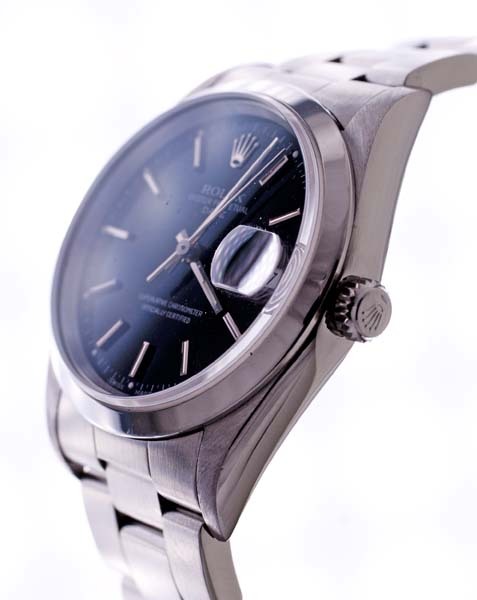 The watch features a sapphire crystal with a quick-set Rolex Perpetual movement, calibre 3135. 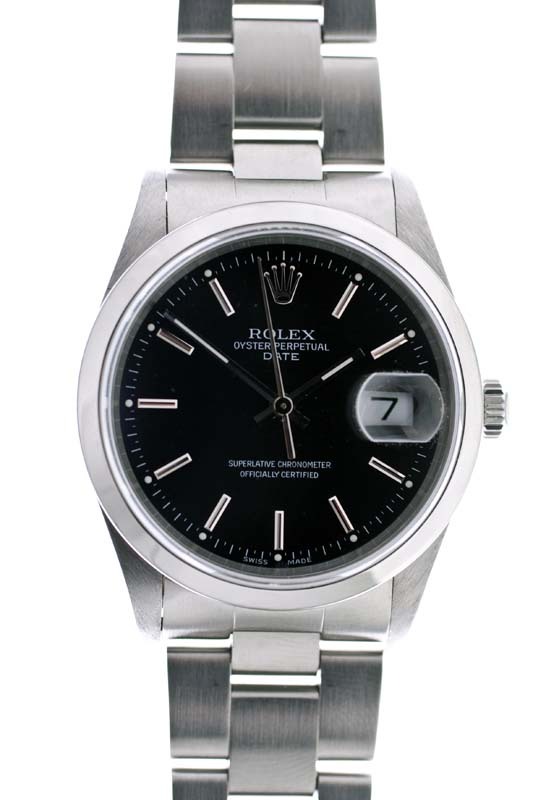 The watch was serviced in September, 2014 at a Rolex Authorized repair centre and given a 2 year factory authorized warranty. 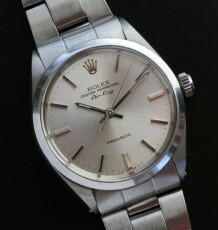 At the time of service the dial, hands and crystal were changed. 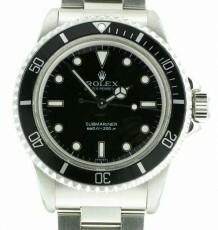 The glossy black dial adds a nice sporty feel to this casual watch. 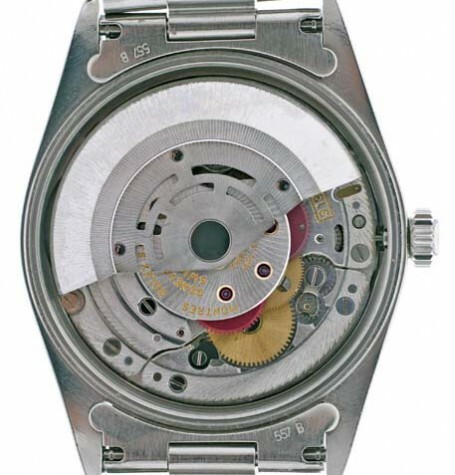 The interesting thing about the watch is that the serial number has been naturally worn off on the case between the lugs. 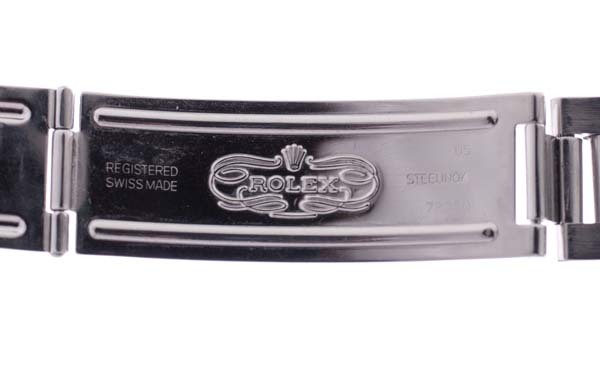 Normally this would been a catastrophic development. 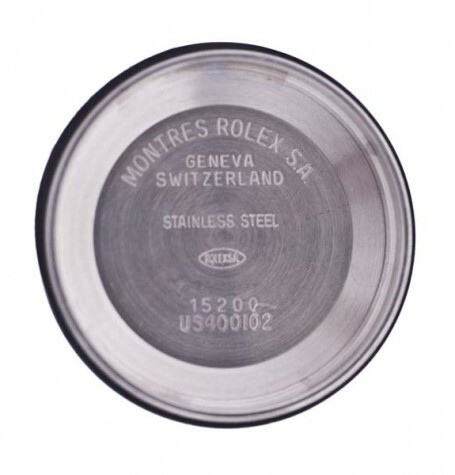 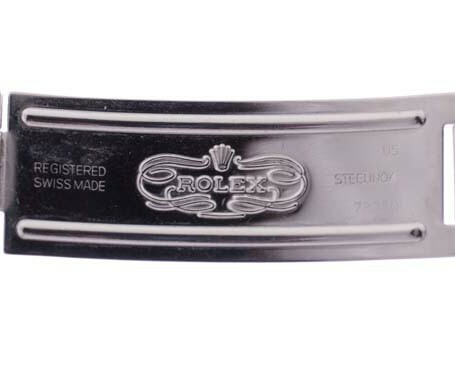 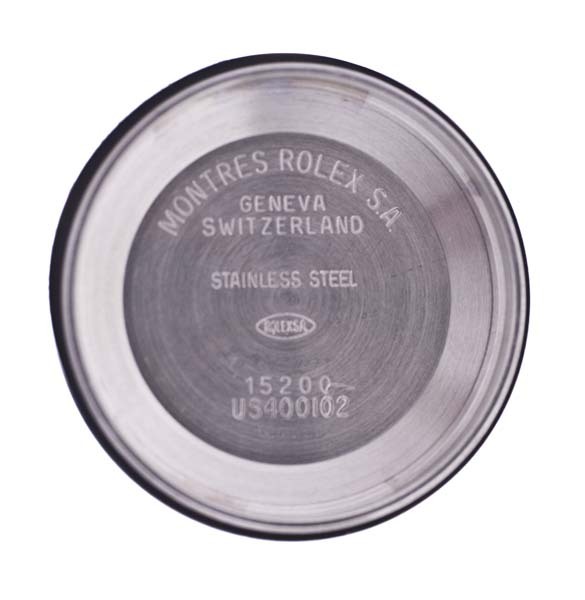 However, this watch had been serviced at Rolex on a number of occasions and as such the original serial number was available and that is the number on the warranty card. 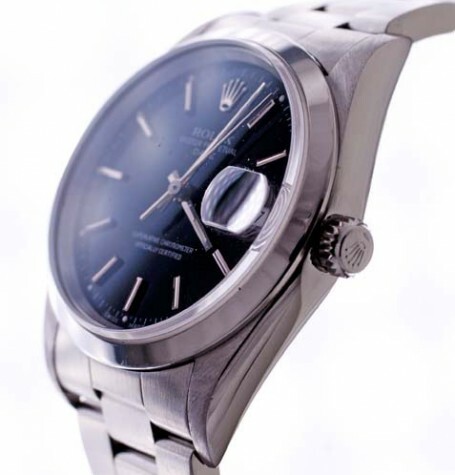 The watch dates to 1991 based on the U prefix of the serial number. 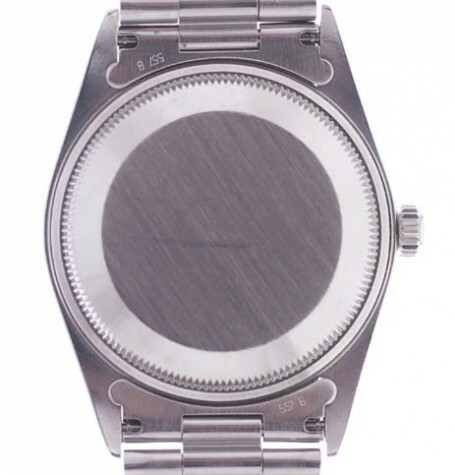 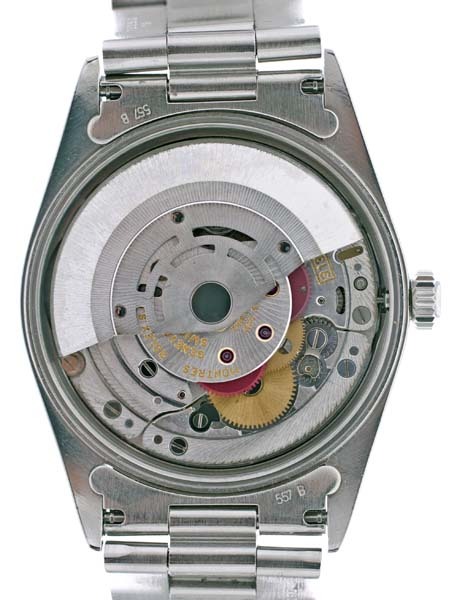 Interestingly, the watch has what appears to be a Rolex USA service number engraved inside the caseback. 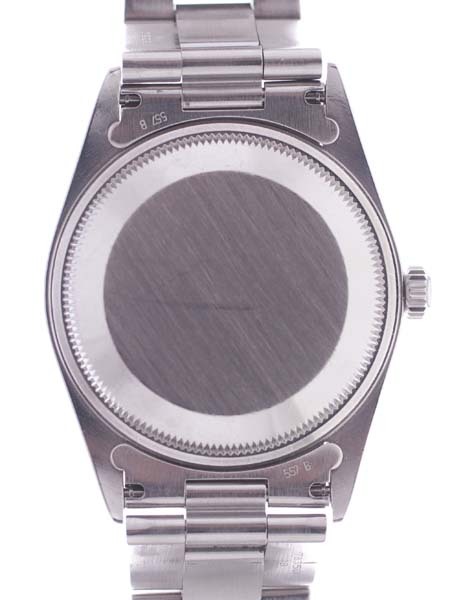 I have seen watches reassigned service serial numbers when the original serial fades off a case, but this the first time I have seen one either stamped or engraved inside the case. 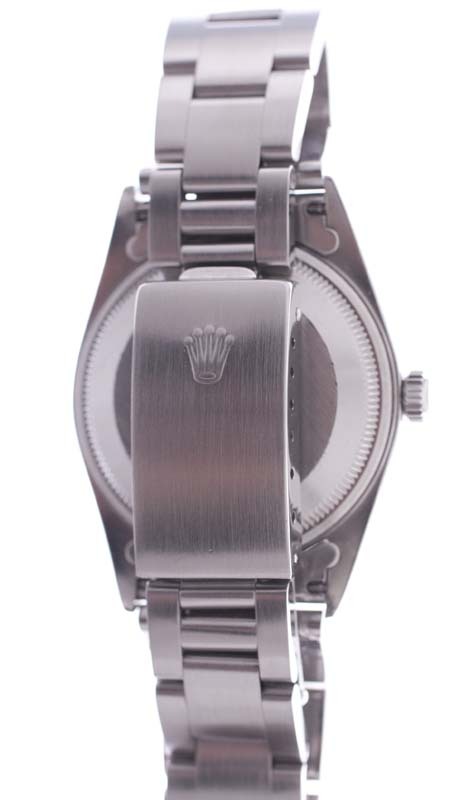 The watch is fitted with a full length stainless steel ref 78350 Oyster bracelet. 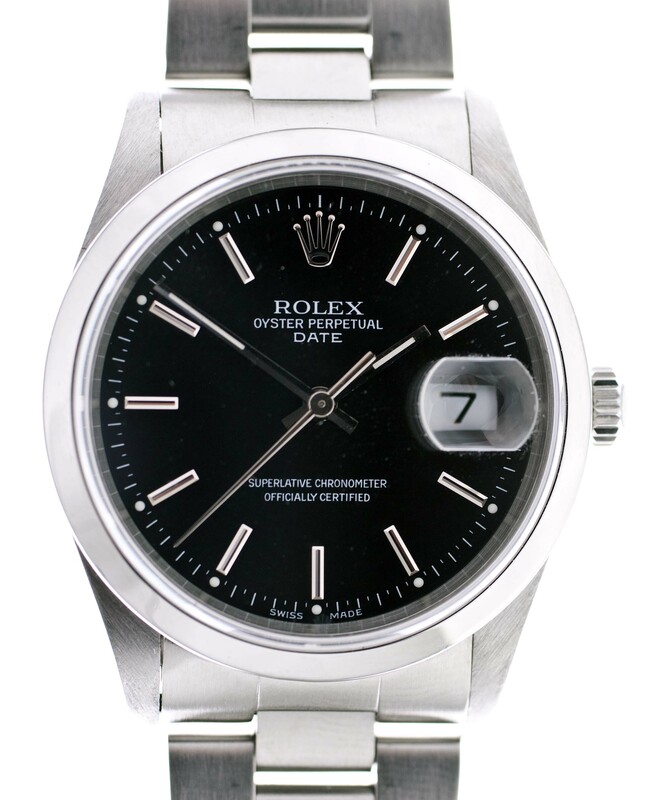 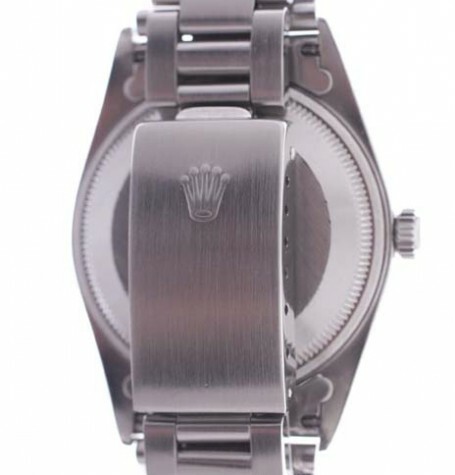 The Oyster Perpetual Date is the 34mm wide model of the full-sized Rolex Datejust.